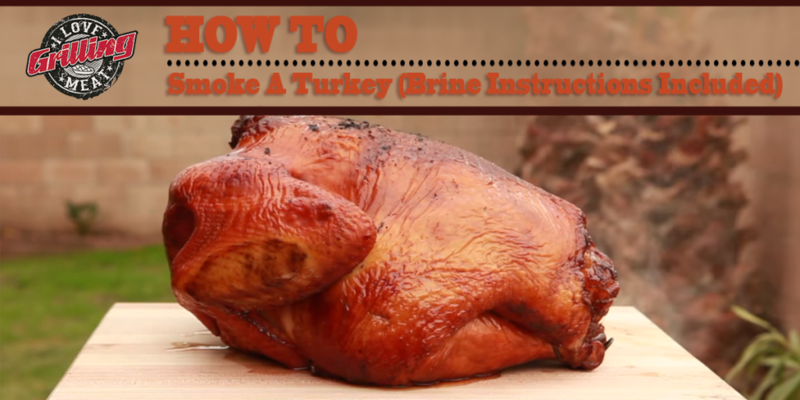 Whether it is for your Thanksgiving dinner or on any other day of the year, here is a simple guide on how to smoke a turkey. This recipe also includes brining, which will result in a great smoke and a delicious meal. The first part of the process is the brine. For this, get a large container, preferably a cooler (or something else with thermal insulation) and mix the brine ingredients in there (see above). Remove the turkey’s insides and clean it, then place it inside the brine. Let it soak up the flavors of the brine overnight (12-18 hours). When the turkey is done brining, it’s time to fire up the smoker ! Get it up to temperature (225F). Make sure that you are not producing a lot of white smoke. This will give a bitter taste to your Turkey. You want a thin wisp of smoke. A good rule of thumb for smoking turkey is 30 minutes per pound of smoking. It is very important that you do not overcook the turkey, therefore a thermometer probe will come in very handy on this cook or any cook where you’re using low and slow smoke. The turkey will be ready when the breast (White Meat) reaches 160 and the thigh/leg (Dark Meat) reaches 180. Once the Turkey reaches these temps, pull the bird out and let it rest for 15-30 minutes before carving. Smoked Turkey Recipes: 2 Turkeys 2 Ways If a citrus infused buttered smoked turkey sounds good to you or your simple traditionally rubbed smoked turkey then be sure to watch this entire video for some ideas on your holiday smoked turkey this year . Honey Brined Smoked Chicken Thighs If you have never brined anything, well, you need to! Brining is very easy, it keeps your smoked chicken thighs extremely moist and it takes the flavor of your meat to a whole new level. The recipe is super easy. What kind of chips do you use? Flavor? Hi Dale, sorry about the late reply. Rather than cook to time you should cook to temperature 160F in the breast of your Turkey. Use a high quality digital meat thermometer to get accurate readings. 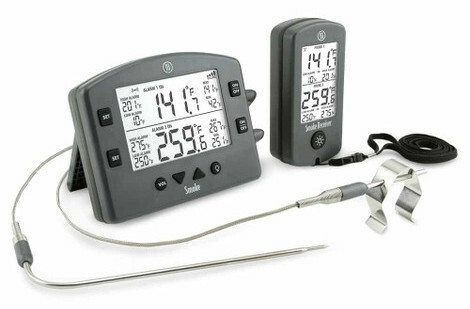 If you scroll up the page you’ll find a link to the best meat thermometers on the planet and at the top of this post you should find a form to download our free sample time and temperature guide. Hope this helps! Would this brine recipe work for a 16 pound turkey? Or would I need to adjust it? Also, are you saying that it’s safe to brine a turkey overnight in a closed cooler? We usually put it in a big pot in the fridge, but that’s a pain. Hi Jenn, thanks for stopping by. Should be fine with a 16lb-er. And regards to the cooler that should be fine if your cooler is a quality cooler that’ll hold the cold temp. Just make sure you clean it very well and definitely put some ice to keep it cold.